The boy who was mauled and killed by two dogs in Fresno on Friday morning has been identified. He was identified Monday as Jaysiah Chavez, 2. He says Jaysiah was out front of the home when two Rottweilers without an owner attacked him. His grandma attempted to intervene, and she was bit. The grandpa was able to stop the attack, Hudson said. The dogs were found nearby the home and were captured and taken to the Central California SPCA. 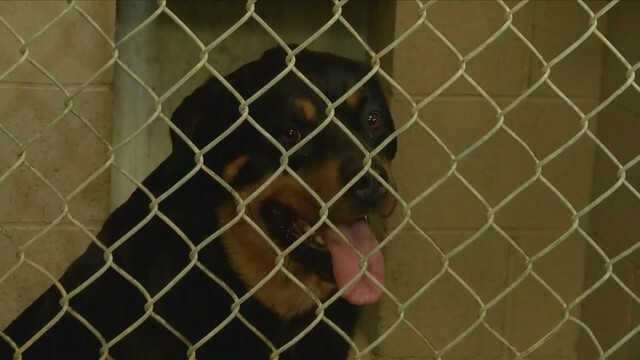 Around 3 p.m., Walter Salvari with the Central California SPCA says the owner let go of their rights of the dogs, and they were to be euthanized as soon as possible. The owner says the dogs dug out from where they were kept at their home. For local and breaking news, and to get weather alerts, download our mobile app from the Apple App Store or the Google Play Store.